Colours are controlled by a hud (Now that was an adventure! It works great, thanks to Abyssin, but we had quite a few laughs while developing it.). It's still got a resizer in it, and of course it's mod-enabled. If you want to use it as a prop: nuke the scripts in it, and watch the Land Impact shrink to a very friendly "1". 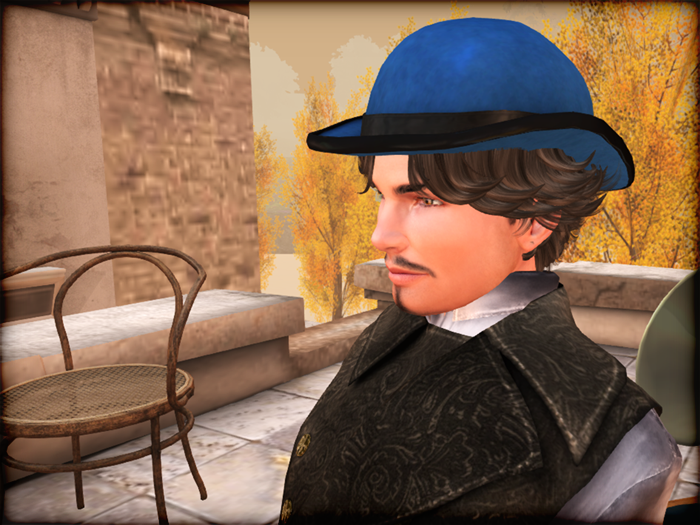 This new version of our classic bowler hat will sit just as well on your head as on a hatstand. 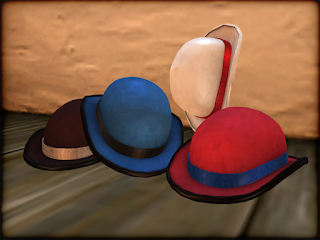 It's a versatile little number, with a hud that includes four colours for the hat (black, blue, red and white) and the ribbon (same colours, in silk). We've also put a resizer in there - jjust touch the hat to activate. Once you're done, feel free to delete the scripts (just make sure you're working on a copy). Wear it proudly, or display it on your favourite hat stand. 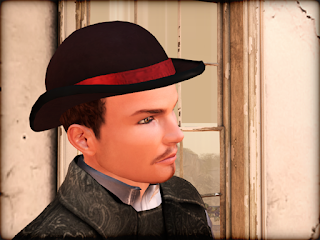 Finally, the Bowler Hat uses advanced lighting materials, but the diffuse is baked in such a way that it looks good with basic shaders as well.